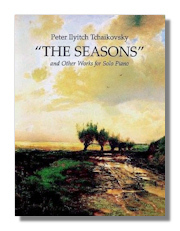 "The Seasons" & Other Works for Solo Piano. Piotr Ilyitch Tchaikovsky. Dover Publications. 1996. ISBN 0486291286 (paperback). Includes The Seasons, Op. 37; Album for the Young, Op. 39; Ten Characteristic Pieces, Op. 72; Dumka, Op. 59; Valse sentimentale, Op. 51, #6; Four Pieces, Op. 40; Theme & Variations, Op. 19, #6 & five early pieces. Songs & Ballads from Nova Scotia. Piotr Ilyitch Tchaikovsky. Dover Publications. 1993. ISBN 9992450371 (paperback). Complete String Quartets. Piotr Ilyitch Tchaikovsky, with Alexander Borodin. Dover Publications. 1995. ISBN 048628333X (paperback). Complete scores for Tchaikovsky's String Quartet #1 in D, Op. 11; #2 in F, Op. 22; & #3 in E-flat Minor, Op. 30. 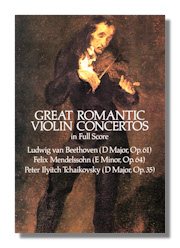 Borodin's String quartet #1 in A & #2 in D.
Great Romantic Violin Concertos in Full Score. Peter Ilyitch Tchaikovsky, with Ludwig van Beethoven & Felix Mendelssohn. Dover Publications. 1986. ISBN 0486249891 (paperback). Tchaikovsky's Piano Concerto #1 & Rachmaninoff's Piano Concerto #2 with Orchestral Reduction for Second Piano. Piotr Ilyitch Tchaikovsky, with Rachmaninoff. Dover Publications. 1996. ISBN 0486291146 (paperback). Tchaikovsky Piano Concerto #1 in B-flat Minor, Op. 23 & Rachmaninoff Piano Concerto #2 in C Minor, Op. 18. Complete Piano Concertos in Full Score. Piotr Ilyitch Tchaikovsky. Dover Publications. 1993. ISBN 0486273857 (paperback). Piano Concerto #1 (most popular) in B-Flat Minor, #2 in G Major & #3 in E-Flat Major. "1812" Overture, Marche Slave & Francesca Da Rimini in Full Score. Piotr Ilyitch Tchaikovsky. Dover Publications. 1996. ISBN 0486290697 (paperback). Authoritative Russian editions of three concert-hall mainstays: the 1812 Overture, Op. 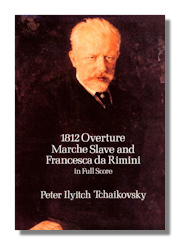 31, among the best loved of all classical compositions; the very popular Marche Slave, Op. 32; and Francesca da Rimini, Op. 32, a poignant and dramatic tone poem, considered one of the composer's finest works. Roméo & Juliet Overture & Capriccio Italien in Full Score. Piotr Ilyitch Tchaikovsky. Dover Publications. 1986. ISBN 0486252175 (paperback). Swan Lake & Sleeping Beauty Suites. Piotr Ilyitch Tchaikovsky. Dover Publications. ISBN 1486298892 (paperback). Full score of the suites from the ballets. Nutcracker Suite in Full Score. Piotr Ilyitch Tchaikovsky. Dover Publications. 1987. ISBN 0486253791 (paperback). Symphonies #1, 2 & 3 in Full Score. Piotr Ilyitch Tchaikovsky. Dover Publications. 1992. ISBN 0486270505 (paperback). Symphonies #4, 5 & 6 in Full Score. Piotr Ilyitch Tchaikovsky. Dover Publications. 1979. ISBN 048623861X (paperback). Symphony #4 in F Minor, Op. 36; Symphony #5 in E Minor, Op. 64; Symphony #6 in B Minor, the "Pathétique," Op. 74. Symphony #5 in E Minor, Op. 64. Piotr Ilyitch Tchaikovsky. Dover Publications. 1998. ISBN 0486401332 (paperback). Miniature Score for full orchestra. Symphony #6 in B Minor, Op. 74 "Pathe´tique". Piotr Ilyitch Tchaikovsky. Dover Publications. 1977. ISBN 0486299546 (paperback). Eugene Onegin in Full Score. Piotr Ilyitch Tchaikovsky. Dover Publications. 1998. ISBN 0486299643 (paperback). The Thirty-Six Fantasias for Keyboard. Georg Philipp Telemann, with Max Seiffert (Editor). 1987. ISBN 0486253651 (paperback). Piano Score. These works herald the beginning of sonata form. Reprinted from the Martin Breslauer, Berlin, 1923 edition. Spanish Piano Music. Manuel de Falla, with Albéniz, Granados, Soler & Turina. Dover Publications. 1997. ISBN 0486296172 (paperback). 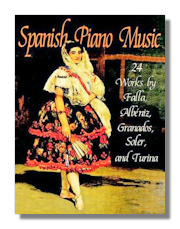 Collection of piano music from the "Golden Age" of Spanish piano music. Included: "Seguidila" & "Leyenda (Asturias" by Albéniz; "Ritual Fire Dance from de Falla' El Amor Brujo, "El Amor y la Muerte: from Goyescas by Granados; Turina's Danzas Andaluzas Op. 8; more. Reproduced from authoritative editions. Intermediate to advanced level. Musica Para Piano. Joaquín Turina. Dover Publications. 2001. ISBN 0711968616 (paperback). 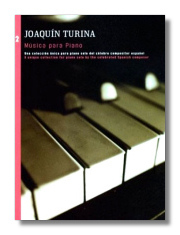 A unique collection for piano by the celebrated Spanish composer. Navidad Op. 16, Partita en do Op. 57, El Poema Infinito Op. 77, Concierto sin Orquestra Op. 88. Musica Para Piano, Vol. 2. Joaquín Turina. Dover Publications. 2003. ISBN 0825618673 (paperback). 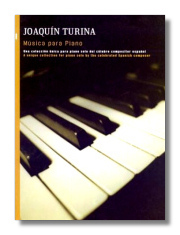 A unique collection for piano by the celebrated Spanish composer. Tocata y Fuga Op. 50, Pieza Romántica Op. 64, Poema Fantástico Op. 98, Fantasia Italiana Op. 75.